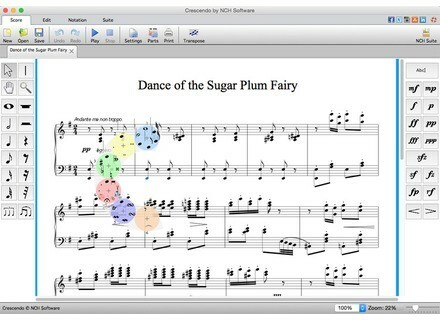 Crescendo, Score writing software from NCH Software. NCH Software has released an update for its Crescendo music score editor for Android, which is a good reason to tell you about the software. 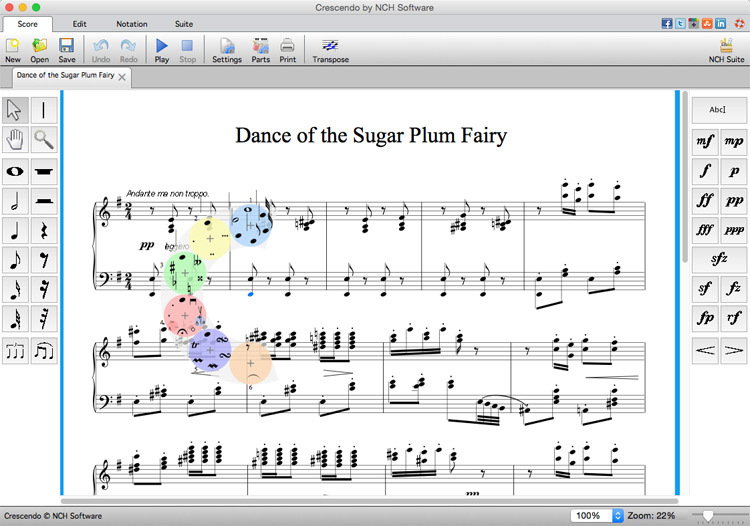 Crescendo is a free music notation software available on Mac OS X, Windows and Android. It allows for quickly creating and editing music scores, with a wide variety of tools, notation symbols and time signatures. Crescendo can be a good alternate solution to larger paid software such as Notation or Sibelius for those who want to start writing music. Blue Cat’s PatchWork updated to v1.7 Blue Cat Audio has released a new update for its PatchWork universal plug-in host. iZotope announces RX Loudness Control iZotope will open at NAB pre-orders for its upcoming RX Loudness Control plug-in for post-production and broadcast. JamStik+ is now on KickStarter We announced it a few days ago, Zivix launched at KickStarter a crowdfunding campaign for its new JamStik+ wireless MIDI guitar controller.